Wednesdays are great. I think they always have been. On this particular Wednesday, the sun is shining, the snow has stopped falling. Its mounded up in piles on street corners and molded around structures. It kinda feels like the last big one this year. 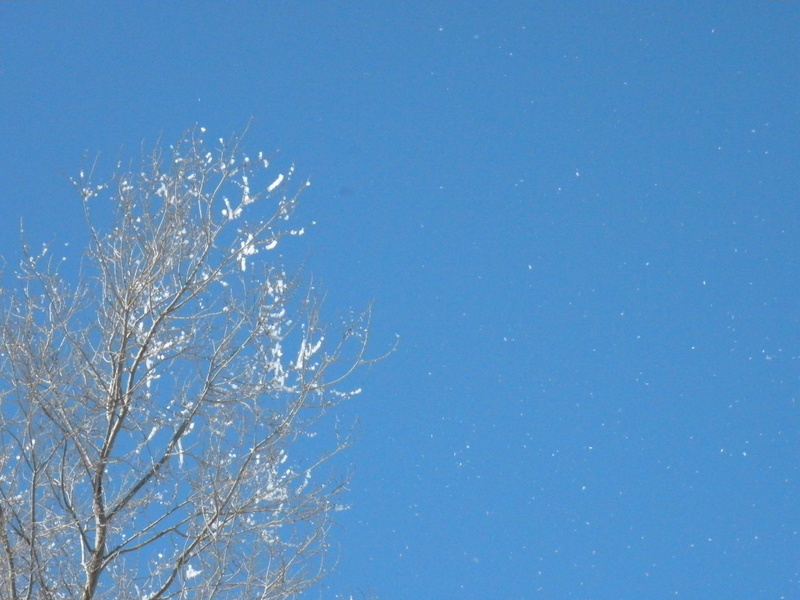 When I opened the door, a chorus of chickadees were singing, “Spring’s Here, Spring’s Here!” I’d like to trust them, but there was still one grumpy little bird singing it’s winter song. Maybe the young ones were just happy. So this is my mid-week break. No daycare for my youngest, no scheduled work for me. Just sunlight and the freedom to choose what to do. Maybe reading my new favorite book, The Way of the Happy Woman. Maybe reading my book club book for next week. I’ve got something like 400 pages to go, but I am just not feeling it. Maybe I need to adjust my expectations and give it a different kind of chance. Maybe making some jewelry and multimedia art for the opening of the Upstage Gallery. Maybe cleaning out the chicken coop and letting the chickens play in the snow. They might have a hard time though. They aren’t exactly built like buffalo. 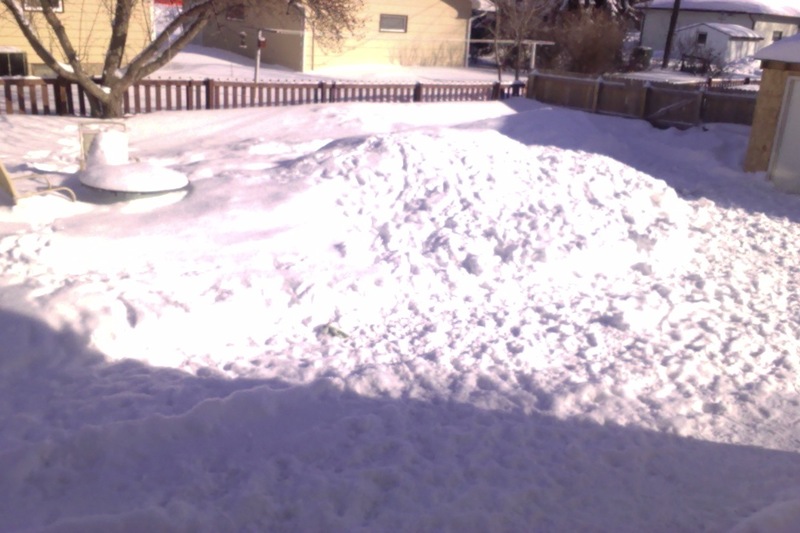 The backyard, March 6 at 9:50am. Maybe having some focused time with the crazy little puppy. 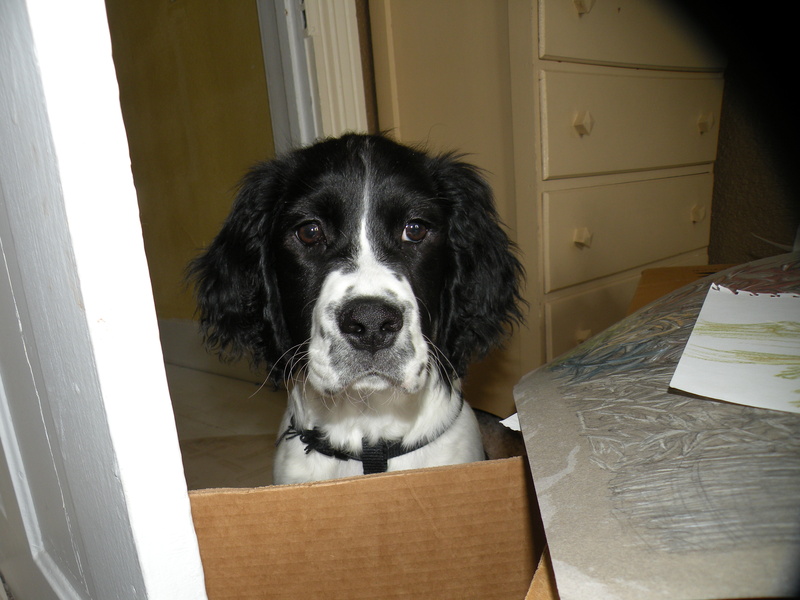 Cedar Jane at 3 months old, frustrated I won’t let her in my office as I sort through old art work. There are plenty of possibilities and nothing of pressure. Its nice to not have pressure. It’s not about forcing anything to happen. It’s not about keeping anything from happening. It’s part of a process of opening to the world, one moment at a time. This is what I’ve worked toward… Amen! Posted in Appreciating the Moment, Gaining a Sense of Belonging, Redefining Work and tagged breathing, experience, joy, learning, life, March, north dakota, personal growth, recovery, spring, today, winter. Bookmark the permalink.